Harriet Showman’s invisible-i-am by Gregg Davis is a powerful story that offers a wrenching, empathetic look at the experience of high school bullying and sexual assault through a victim’s eyes. Through the perspective of a wiser-than-her-years 16-year-old narrator, invisible-i-am tackles issues of violence and oppression, the clash between identity and invisibility, and the necessity of self-determination. Vigorously independent in many respects, invisible-i-am challenges traditional notions of storytelling in the YA book industry with its dark, idiosyncratic humor, unflinching portrayal of abuse, and plot twists that peel back layers of family and community intrigue to address the impact of oppression in its many forms — personal, historical, and systemic. Experimental and literary in nature, the book also features Ms. Showman’s art, created from the perspective of protagonist Gregg Davis and a striking cover designed like a scrawled-over Composition notebook. The story is also unique in that it extends beyond the novella into social media and the screen, giving the story a multimedia and interactive dimension. A sequel to invisible-i-am is forthcoming. 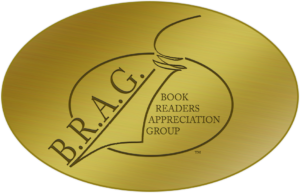 invisible-i-am is a recipient of a five-star indieB.R.A.G. gold medallion award. 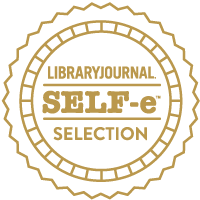 The book has been accepted into the collection of the South Carolina Center for Children’s Books and Literacy as well as Library Journal’s SELF-e indie book online platform, available through participating libraries across the U.S. In addition, a short film set in the invisible-i-am multiverse featuring the poetry of former SC Poet Laureate Izzybelle Shaw was showcased in the 2016 Indie Grits Film Festival and is available to watch on YouTube.